Heat oil in a pan and add Thai yellow curry paste. Saute till the raw smell goes. 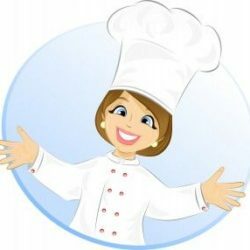 Do not add oil if the paste already contains oil in it. Add 1 1/2 cups of thick coconut milk and blend well. Pour 1 cup of water into the pan. Then add the chicken pieces and potatoes. Also add palm sugar and fish sauce. Mix well and cook covered till done. Stir in between. Open the lid and add salt if needed. Sometimes the paste will have enough salt for the curry. Allow it to simmer till the gravy is thick. Now add 1/2 cup of thick coconut milk. Mix well and switch off the flame. Garnish it with sliced green chillies. Serve lip-smacking ‘Thai Yellow Chicken Curry’ with rice. Enjoy!!! 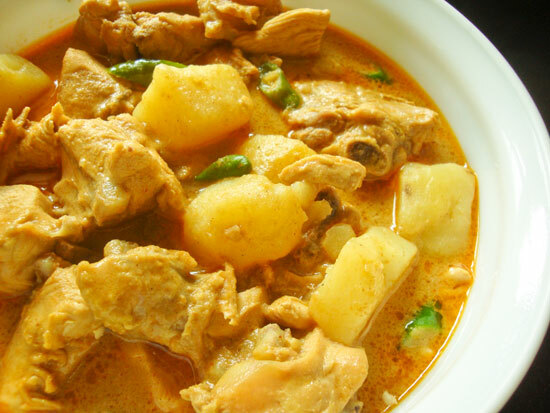 I am sending ‘Thai Yellow Curry’ to “Show Me Your Curry” hosted by Divya. Shyama love all non veg curries with potato and this just looks really yumm. With som hot steamed rice this will be indeed very delish. 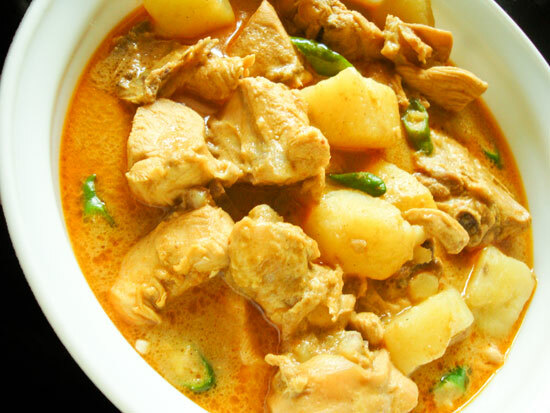 Fingerlicking thai yellow chicken curry, very tempting..
so perfect and yummy..i want some now ..yummyyy!! looks so yummy and different.. hv to shop for the yellow thai paste now!